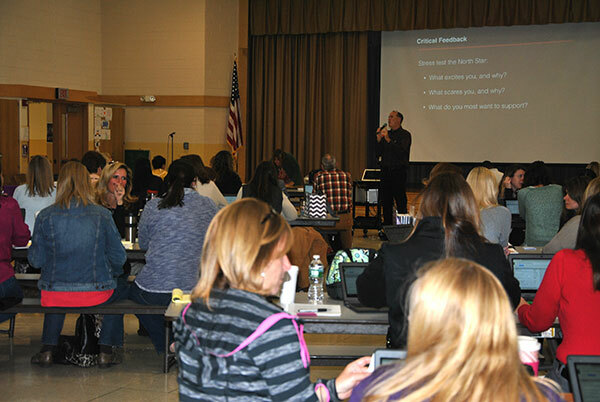 During last month’s Superintendent’s Conference Day, the District’s elementary classroom teachers gathered at Sanfordville Elementary School for three different work sessions. 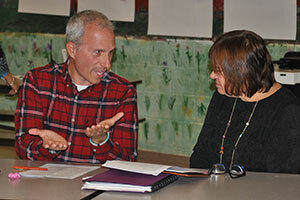 The first workshop was with Grant Lichtman, nationally recognized leader in the drive to transform k-12 education. Mr. Lichtman shared the District’s draft of our “North Star” with the teachers. Teachers worked in groups to brainstorm ideas about what parts of the North Star they were ready to support, what would be difficult to support, what they would need to support it, what excites them and what scares them about the process. Groups worked together to generate many program ideas that could be implemented to support the community vision of #TheirFuture. The second session for teachers began with a presentation by Superintendent Dr. Leach and Assistant Superintendent for Curriculum and Instructional Services Mr. Yap on Curriculum Mapping. Key terms and concepts of curriculum mapping were discussed, including factors and influences on curriculum, vertical and horizontal alignment, enduring understandings, essential questions, skills, concepts, assessment and learning activities. Mr. Yap wrapped up the session with a discussion about the integration of technology into instruction. 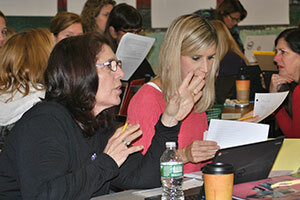 The third work session of the day for teachers was led by literacy consultant Patty Vitale-Reilly. Keeping with the curriculum theme, teachers worked with their grade level teams to begin designing the launch unit curriculum for each grade. The focus was on the vertical alignment of the launch unit across the grades. The day was centered on vertical articulation of the District’s three main priorities for #TheirFuture: curriculum, instruction, and literacy.